What are the Best Free Business Listing Sites? Learn the benefits of online business listings, the most effective free listing sites like Google Maps and Yelp, and how to maximize your visibility and appeal on them. Looking for a Business Directory List? Business directories are not just a digital version of the Yellow Pages where users have to flip through pages to find what they’re looking for; they are comprehensive platforms that enable potential customers to instantly identify, learn about, and contact businesses relevant to them. Listing your business on these search engines, maps, social media platforms, review sites, and directories can significantly enhance your online visibility and overall growth. It’s important to note, however, that for many of these platforms, adding a listing is different from claiming a listing. When you claim your listing, you can edit your information and respond to reviews, ensuring your business is putting its best foot forward. The rest of this post goes over the importance of online business listings, which ones you should set up and claim, and how to optimize your local listings for maximum visibility. Consumers need a way to discover your business without knowing its name. Getting listed allows potential customers to discover you when searching for the services, categories, and amenities you provide. Your business listing could be your first encounter with a customer, before they even make it to your website. Studies show that people don’t just disengage with a business that has inaccurate or incomplete information; they lose trust in that business. Many business directories today (a) pull from other larger directories, (b) automatically create listings, or (c) allow anyone to add a listing. This means your business could be showing up in directories and collecting reviews unbeknownst to you. It’s important to monitor your listings and manage updates to and engagements with it. If you don’t have contact information in your audience’s go-to resources, how will they know you exist? If your contact information is wrong, how will you build trust? If you don’t know you have a listing, how can you manage your reputation on that site? In today’s digital landscape, it is more important than ever to create directory listings and monitor them. Not only are listing sites important for getting your business and website noticed and creating a positive first impression, but they are also highly beneficial to the growth of your business. Read on to learn about the many advantages directory listings offer your business. Though they are massive, online business directories have advanced filtering and suggesting capabilities, allowing you to become highly visible to your local community and niche audiences. The typical online business directory allows users to search by specific criteria such as specialty, neighborhood, ratings, and more. By simply entering complete and accurate information in your listing, the directory will then connect your business to the people searching for it, even if they don’t search your business name explicitly. The easier it is for a potential customer to engage with your business—whether it’s to make a phone call, submit a contact form, or even go to your location—the more likely they are to do so. Business directories create a channel by which potential customers can engage directly with your business or easily get to your website to do so. Word of mouth has always been a trusted source for consumers, and now predominantly takes the form of online reviews. 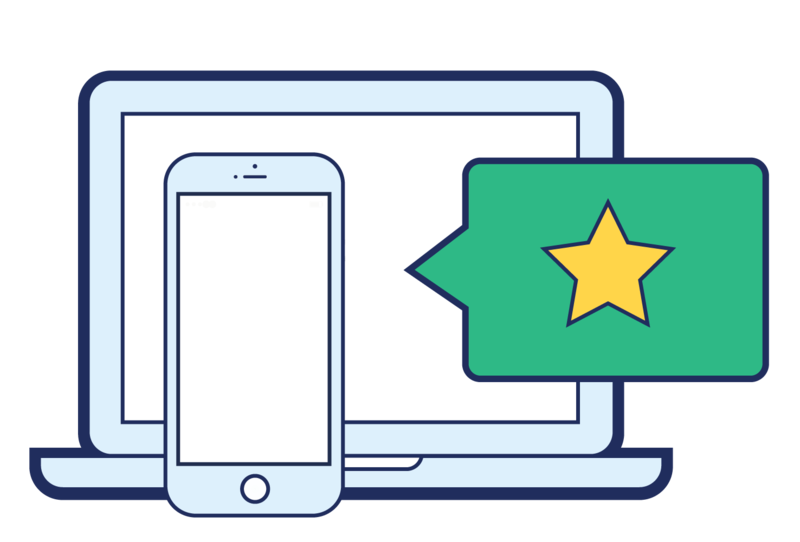 With apps and mobile devices, customers can now publish reviews more quickly—even during their experience. Getting listed in online business directories equips happy customers to spread the word about your business. The fear of negative reviews prevents many businesses from getting listed online, but this shuts them off from getting positive reviews too, which are essential for a good reputation. As long as you know how to properly handle one, the cost of one negative review is outweighed by the benefits of many positive reviews. Plus, a mix of reviews can even strengthen your reputation, as it shows that you are a genuine company with nothing to hide. When a user performs a search in an online business directory, it will display a list of relevant results, each with a brief snapshot so that you can decide which one to click on to learn more. This means that even if a user doesn’t click on your listing, they still see your business. Every encounter a person has with your business increases their awareness and familiarity with your brand, which makes them more receptive to future outreach. Online business listings improve your SEO by sending signals to Google about your online presence and helping to validate your trustworthiness. Google wants to be trusted by its users, so the more information it can obtain about your business online, and the more consistent that information is, the higher you will rank. It is possible to get on the first page of Google through SEO practices, but it can take a few months to start seeing results. Popular online business directory sites, on the other hand, have been around for a while, have high amounts of traffic, and are trusted by Google. This means that your profile page on, say, Yelp has a high chance of showing up on the first page of results for relevant searches. What are the Most Popular Free Business Listing Sites? Consumers use Google on their desktops and phones to find just about everything they need, including products and services near them. A Google My Business listing enables your business to show up on Google Maps and Google Search, where potential customers can easily learn about and engage with your business. Google reviews even show up for maps results on Android devices. Google data shows up in a lot of places, so get on this free business listing site asap. Yelp is free business listing site where small businesses can personalize their profile, communicate with customers, and even advertise their business. Yelp’s customer reviews don’t just show up on Yelp; they appear on iPhone Apple Maps. These reviews are crucial in establishing credibility for your business. Did you know that Siri and Alexa also rely on Yelp information when looking up and suggesting local businesses? This free listing site is mainly for home and healthcare services. The Angie’s List posting policy filters out anonymous, low-quality reviews, making the positive reviews more credible. Also, Angie’s List doesn’t just draw attention to your business but also facilitates business transactions. The Message Center allows for communication with customers and tracking job requests submitted through the site. Another perk is that the Angie’s List team is always there to give guidance on increasing your exposure on their platform. Facebook is a social media platform, but can also function as both a general and local business directory. To take advantage of a free Facebook listing, create a Facebook business account and business page where you can post updates and pictures, collect reviews, add CTAs, and gain insights on page engagement. With a Facebook Page and Place set up and a location, customers can check in at your business, leave reviews, engage with your posts, and get access to your website—a great free business listing site indeed. Instagram isn’t exactly a review site or directory, but with hashtags and filters, users can perform location-based searches and discover businesses that are near them and in line with their interests. Not only is an Instagram business account free, but also, consumers love sharing their positive experiences through photos—the food they order, their favorite local shops, etc. When customers tag your business or location in their posts, they are marketing for you. Foursquare has fizzled out as a social platform, but having a Foursquare business listing is still important. Foursquare’s Places technology powers location data for Apple, Uber, Twitter, Microsoft, Samsung, and 100,000 other developers. When your business is listed on Foursquare, it’s automatically included in thousands of local apps and services. Citysearch is a popular city guide to all things food, entertainment, shopping, and pampering. Consumers use the mobile app to find businesses and post reviews, and you can use your listing to promote events and deals. The site’s visitor tracking features allow you to see where they came from on the web, the length of their stay on your page, and so on. With that information, you can optimize your page to get the most out of your listing. Glassdoor is a review site geared for job seekers, but that doesn’t make it less effective as a business listing site. Your Glassdoor profile can show up in a Google search and have an influence on consumers researching your business. After all, happy employees are at the root of good customer service and are indicators of a company’s leadership and overall health. Use Glassdoor to attract top talent, and the photos, status updates, and review responses may just help to attract new customers as well. An alternative to Yelp, Manta is specifically tailored to small businesses. This free business listing site offers business owners education through news, advice, educational resources, as well as tools for promotions and getting customers to act. Manta offers paid marketing services as well. Customers can leave ratings and reviews directly on YellowBot, but the site also pulls your reviews (and business descriptions) from other sites. This allows your listing to be more robust and attract more customers. YellowBot also has digital consultants on hand to offer advertising advice, as well as a premium membership option offering sponsored results, reputation management, and promotional material. If your business is listed, that’s great! But is it listed correctly? If it’s not, you are limiting your ability for potential customers to find you. Make your business more easily found online by ensuring that your business is listed with all of the relevant information fields. While the name of a business may seem like a fairly straightforward element to a directory listing, we frequently find businesses listed under inaccurate names. Keep your business name consistent to avoid confusing your customers and potentially losing sales. For example, if you list your business as “The Sweet Spot Bakery” on Google My Business, don’t list it on Yelp as “Sweet Spot Bakery”. It is important to have an accurate address in your directory listings so you can show up in local results. If you don’t have a brick and mortar location, get listed as a service area business. Make sure to include every detail of your address, including floor or suite number. Include your hours for each day of the week, and also be sure to update holiday hours. You can’t benefit from being open on holidays if no one knows! You also want to avoid a customer showing up at your business only to find it is closed. This is a poor experience that will hurt your reputation. Many sites today have a tap-to-call feature which makes it easier for customers to reach you, so having a phone number is important. –even more so when considering the number of searches that are performed on mobile phones. Local telephone numbers provided added security to potential customers that you are a local business. Plus, search engines like Google do not like toll-free numbers. Remember, a good business listing and online presence is all about trust. Some potential customers will want to contact you directly by phone, but others will prefer to look at your website to learn more about your business before contacting you. Listing your website accurately allows your potential customers to get in touch with you the way that they prefer. Wherever possible, uploading a photo helps associate a face with your business, which can increase the chances that someone will want to contact you. Add photos of the business itself, the customers, employees, and even products and services. The goal is to give potential customers an idea of what it’s like to be at your business and to stand out among your competitors. This is especially important if your product or service is not a part of your business name. Customers don’t typically search for business names, but rather for the product or service they’re looking for, so be sure to select categories and subcategories whenever possible to help get your business listing to show up for people who are browsing. For platforms that ask you to write a brief description of your business, keep them concise. Also, use language that potential customers would use to search for information related to your business. Here are specific actions you can take and habits to get into to help optimize your presence in online business directories. For many review sites, consumers can create a listing for you, but this does not grant you control over it. You need to claim your listings in order to update and control the information shown about your business. The steps required to claim, change, or update a listing will vary across platforms, so it’s best to seek out instructions from each directory separately. In order to optimize your listings, you need to start with complete ones. Not having enough information about your business makes it difficult for a potential customer to feel confident and able to engage with your business—not to mention frustrated or annoyed with your negligence. Inaccurate business information will cause Google and consumers to stop trusting you. Make sure to include all specific information, right down to floor or suite within the same building. Not only will this build trust with potential customers, but it also helps with your Google ranking. The more consistent your information is across the web, the more Google will trust your business and the higher it will rank it. Get as many reviews as possible on the directories that support them such as Google My Business and Yelp. Not only will this make your listing more attractive and your business more trustworthy, but it may also affect how you rank in directory search results. While it’s important to upload a logo and photos to your business listings, make sure these images never replace text. In fact, if you can add alt text (text alternative), do it. Images help to create visual appeal but text is what helps your listing get found in the first place. Having multiple locations can be confusing for search engines and people. Find out from the platform whether you can create multiple listings under one account (such as with Google My Business) or if you’ll need to create separate listings for each location. This ensures that current and potential customers know exactly which number to call or where to go, without having to dig through information. It’s important that your listings eliminate as many barriers to learning about and engaging with your business as possible. For each listing or profile you have on social and review sites, make use of categories (for some sites you can add multiple) and attributes (payment methods, parking information, etc.) that help get your business included in specific searches. These searches are likely being performed by your ideal customers. Negative reviews can hurt your business reputation, but responding to them appropriately can mitigate their damage and even result in a positive review. Stay on top of what customers are saying about your business to prevent unanswered negative reviews from lowering you in the ranks. Perhaps worse than having incomplete information is having inaccurate information. If a customer wants to pick up an order, make a return, or stop in for an appointment, the last thing they need is to show up only to find that you’re closed. Even worse, inaccurate information tends to cause consumers to think that you’re either not competent, not reliable, or unaware of your customers’ needs. It’s essential to do a regular audit of your business listings and update as needed. So What is the Best Free Online Business Listing Site? Much likely not to your surprise, it’s Google My Business. Here are just a few reasons why Google My Business is the best free listing you can create for your business. Google is a worldwide platform, but not at the expense of its local capabilities. In fact, part of what makes Google so popular worldwide is its local capabilities. Google uses IP addresses and user behavior to deliver the most refined and relevant results for its searchers. Even if a user does not type in a location-based search, Google will still show a local section in results if the data exists. Another reason why Google my Business is the best free business listing site is that Google’s search engine results pages are becoming more and more advanced. Google provides answers via answer boxes, directly in the search suggestion drop-down list, related search suggestions, “people also asked” section, and via a side knowledge panel. There is increasingly more information available through the results pages themselves, making Google more of a second homepage for your business and a direct channel of engagement with your business. 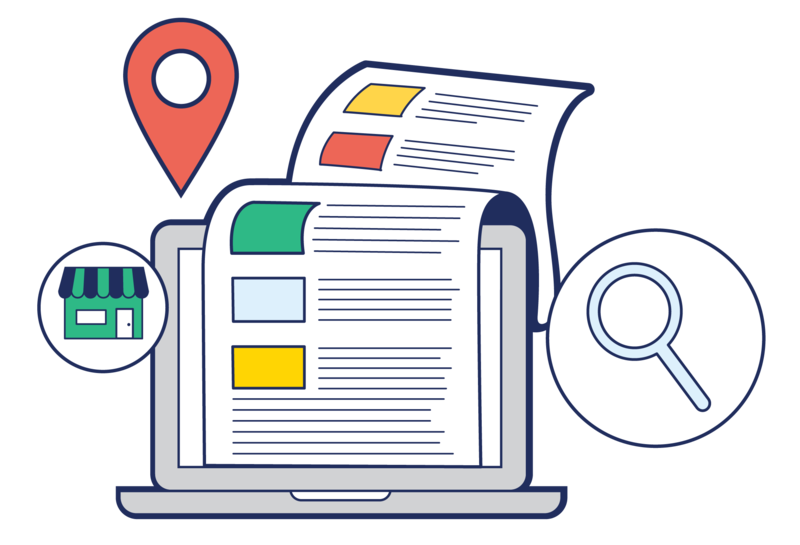 Not only does your Google My Business listing enable you to show up on Google Search and Google Maps, but many other listing sites and business directories pull their data from Google. Get listed on Google My Business to increase your visibility on the world’s most popular and trusted search engine, and elsewhere on the web. Online directories are a key player in your small business growth. Your business listings help to develop your reputation, increase your online visibility, and place you in local search results. There are a number of websites and mobile apps available today that provide business listings based on industry, location, niche, and more. Create and claim your listings on these free sites—with Google My Business as your top priority.